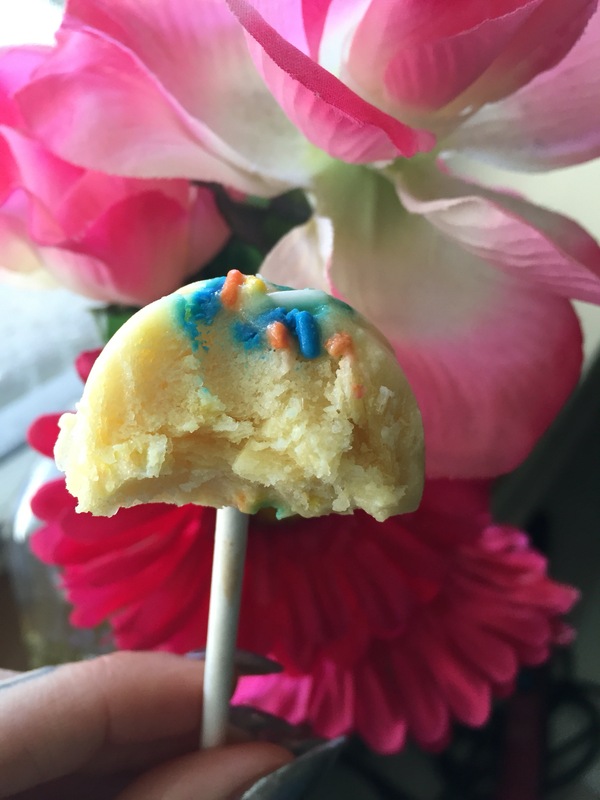 20 Calorie Birthday Cake Protein Pudding Pops! This month I will be celebrating my grandmas birthday on the 18th, along with my shared birthday with my mom on the 19th, lucky her I know! The first thing that comes to mind when I think of my birthday is cake! Fluffy, delicious, birthday cake with sprinkles! My family loves cake, I love cake, you love cake, we all love cake! That’s what motivated me to create a healthy alternative. But what if I told you, you could have your cake for 20 calories. …Yes! I said 20 calories! 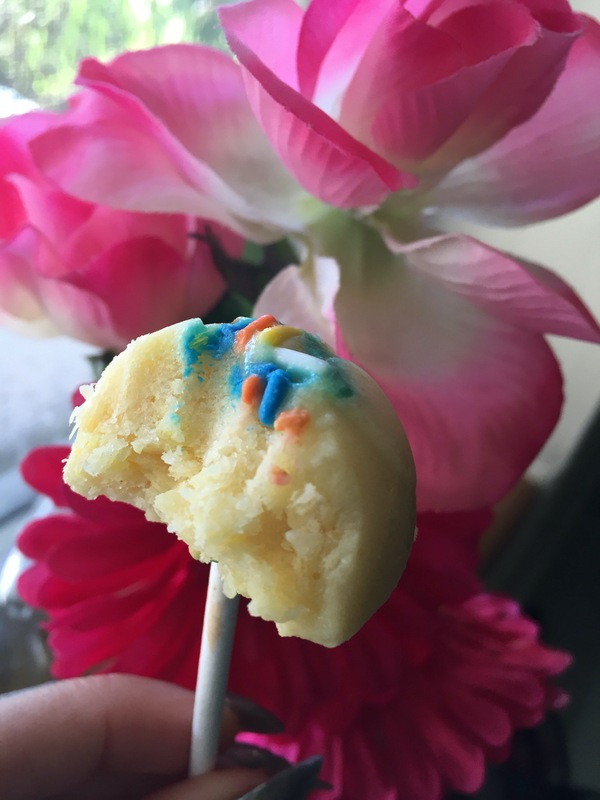 I bring to you my vanilla birthday cake protein pudding pops! ♥ Get your mixing bowl and toss in your sugar-free vanilla pudding. Side note.. My sister got me an awesome new mixing bowl with mixing cups for christmas, that I love love love! Feeling a bit more legit in the kitchen now! 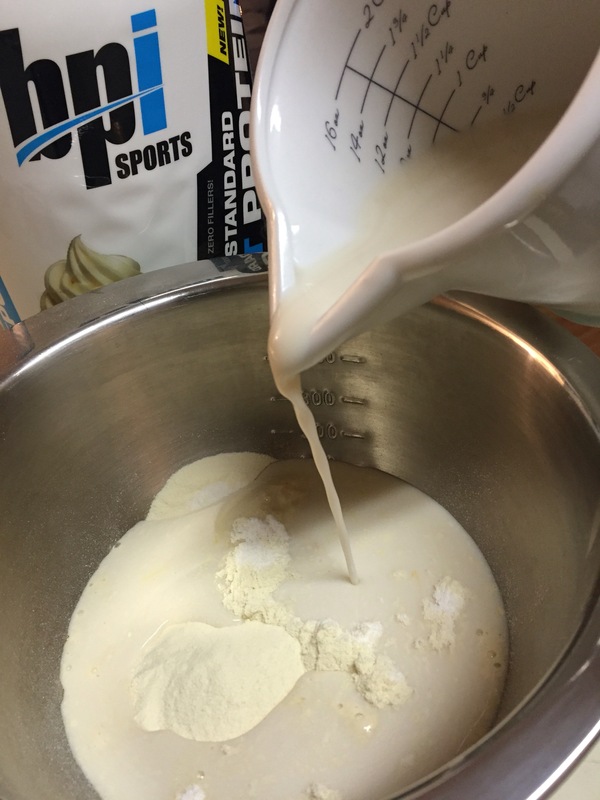 ♥ Grab your protein and add 1-2 scoops. For high protein benefits, add 2. For this recipe I used 1 and a half. Normally, when making pudding, you add 2 cups cold milk. It even says on the box not to mix with soy as it won’t settle properly. WELL folks, I’m a rebel! I’m also trying to cut back on calories where I can, so cashew milk for me it is! Cashew milk isn’t as thick as regular milk so I added a very full 1 cup. Your milk choice is up to you. If you use soy, it will be thin like the cashew milk, so start with 1 cup and add more if necessary. ♥ Mix it all together with a whisk or fork for two minutes until everything is dissolved. 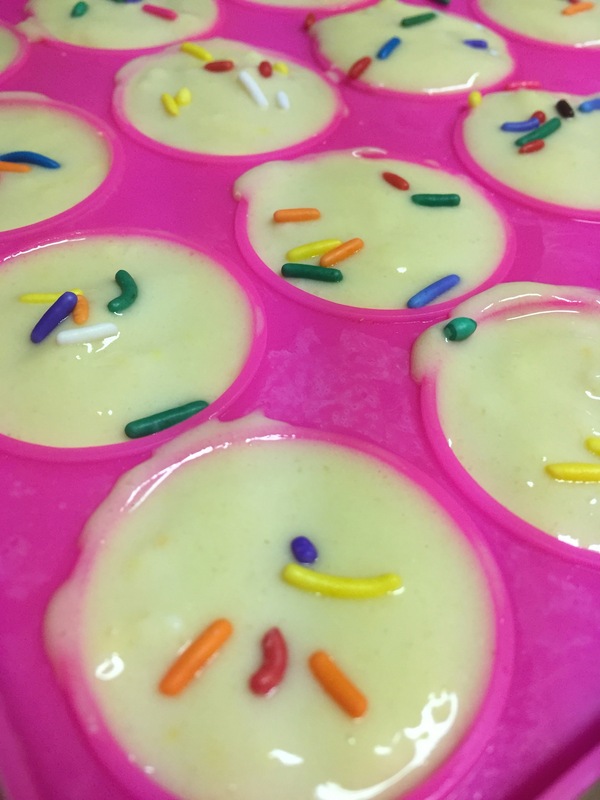 ♥ Pull out your cake pop molds, sprinkles, and a spoon to scoop out the batter. If you don’t have cake pop molds, any silicone type mold will do, or even use your ice trays! No cake pop sticks or popsicle sticks? No worries! These cake pops are bite size so a stick isn’t a must have. 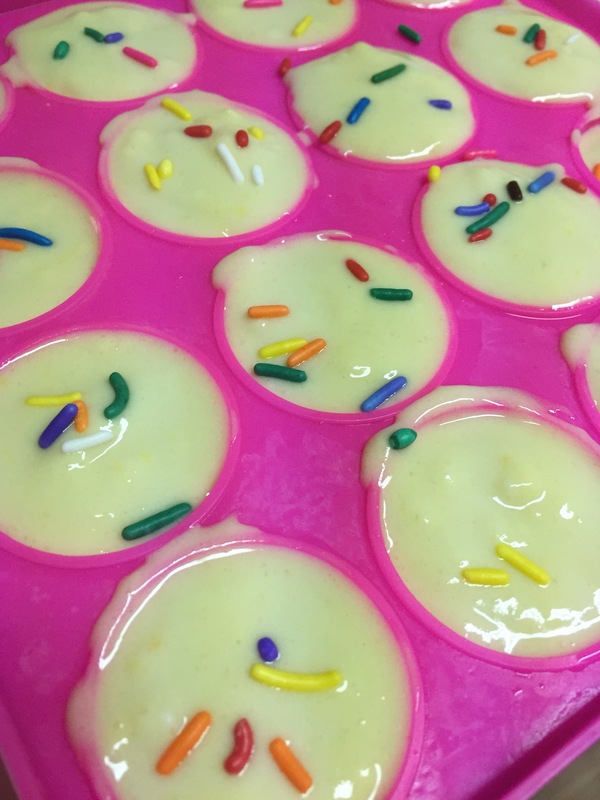 I put a layer of sprinkles in the molds first so when they were done, they would appear sprinkled on the tops. ♥ After you fill the molds, cover and place your cake pop sticks into the top. Adding the top of the cake mold isn’t necessary but I did just incase the ol’ husband went in the freezer all willy-nilly and happened to cause any spillage! Place in your freezer and allow to set for two hours until hardened. Remove from the freezer and pop them out of the molds and into your mouth! YAY! Happy skinny girl birthday to me! They sure hit the spot to satisfy that cake batter sweet tooth! The texture of these pops are perfect! They are easy to bite into and melt in your mouth! My brain starts to race when I think of all the possible combinations! I mean really, you have lemon, banana, cheesecake, chocolate, white, chocolate, vanilla, pistachio and butterscotch for sugar-free pudding options. Now all you do is match up your protein flavor! If you’re really feeling crazy and want to add something other than sprinkles, try fresh fruit, nuts, flavored extracts, you name it! If you have particular protein flavors like strawberries and cream, banana, or cinnamon roll, all of these would be great with vanilla pudding!